Dr. Pham was phenomenal in her professionalism, courtesy, sharing of insights, and guidance about the eye exam and nextsteps about how to support accurate vision. She was patient, gladly answered all questions, was thorough in her explanations, and made sure above all that I was comfortable with every part of the exam from beginning to end. It was absolutely hands down the best eye exam experience I've ever had and there was absolutely no wait when I arrived. As well, I completed my paperwork online, so when I arrived Dr. Pham's staff already had my information in total. I will recommend Dr. Pham to anyone I know that's looking to have an eye exam done! Dr. Pham was phenomenal in her professionalism, courtesy, sharing of insights, and guidance about the eye exam and next steps about how to support accurate vision. She was patient,gladly answered all questions, was thorough in her explanations, and made sure above all that I was comfortable with every part of the exam from beginning to end. It was absolutely hands down the best eye exam experience I've ever had and there was absolutely no wait when I arrived. As well, I completed my paperwork online, so when I arrived Dr. Pham's staff already had my information in total. I will recommend Dr. Pham to anyone I know that's looking to have an eye exam done! Dr. Pham was very kind and explained the issues I had with my vision. She also told me what to lookout for in case my vision were to become worse. Dr. Pham was everything I was expecting based on the high quantity of great ZocDoc reviews I found for her online. Having not been happy with my past two optometrists, I decided I was willing to drive wherever I needed toacross the DFW area to find a good optometrist who was open on Saturdays, since I have such a busy weekday work schedule. Using ZocDoc (which I love and use in the medical practices I have worked for), I knew the reviews they provided were from ACTUAL patients -- so when I saw such great reviews and a high quantity of ZocDoc reviews, I knew I would gladly drive from Irving to Mansfield for my appointment. Knowing I typically only need to see my optometrist once a year the drive was DEFINITELY worth it, as Dr. Pham was very kind and answered all my questions. I highly recommend, Dr. Pham! Great! I was able to be seen earlier than my scheduled appointment as a walk in. This gave me time to pick out some frames from the optical center in Sam's before they closed. Dr. Kim was fantastic! Her office was cozy and the staff were incredibly friendly. She was very thorough and gentle and would highly recommend and will be seeing her exclusively from now on! Dr. Pham is a true professional. She is very thorough and had prepared for our appointment with information about my previous appointment over a year ago. She was able to provide exemplary support, service and care. I highly recommend Dr. Pham.Her office staff is also very friendly and professional. Everyone is treated well and greeted with a smile. Dr. Pham is hands down the best optometrist we have ever visited. She is thorough, accurate, patient, knowledgeable and has a great bedside manner. She relates well to both teens and adults. I highly recommend Dr. Pham. The best eye doctor I have been to! So nice and the whole appointment took maybe 20 minutes!! Dr. Pham is great! Very patient and thorough. She was very nice and explained everything to me with such patience, very professional! 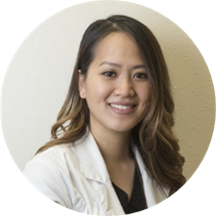 We Love Dr Kim Pham, my husband and I went to her last year and have now found our permanent eye dr. Dr Pham is very thorough and takes her time to hear everything you have to say and will workwith you to find a solution. Her office staff is super sweet and very welcoming when you walk through the door. I've been going to Dr. Pham for 5 years. She's smart, knows what she's doing, and offers a reason price for eye exams. Awesome Optometrist! Staff was friendly and courteous, off was clean, and service was great! This was my first time here, and I would return and recommend others. Dr. Pham is the best doctor. We were seen way before our appointment and it was only about 20 minutes. Excellent doctor who I would recommend to anyone!! I think I’ve found my permanent eye doctor. Dr. Pham is great. She is very thorough and makes sure you understand your condition and doesn’t just go through the motions of her job. She’s very down to earth. As far asthe wait time, I didn’t have to wait at all. They called me back less than 5 minutes after finished my new patient paperwork. LOVE THIS PLACE! She was very nice. Spent the time needed. I was In and out in 20 minutes. Dr Pham was wonderful. It was evident that they did not overbook. We were the only ones in the office before lunchtime. She was very kind and professional. She spent time making sure I got the correct prescription and discussed my eye health. Dr. Pham was very nice and professional. The appointment was quick and everything was explained well. She was a very kind, intelligent Doctor. I appreciated her knowledge and perfection of skills that she used during my eye exam. She was concise and precise! There was no need to draw anything out longer than needed. Dr. Pham is a very pleasant and thorough professional. She will put you at comfort and ease and takes time to answer allof your questions and concerns. I am will definitely return for future eye examinations. Dr Kim is great. Completely explains everything. Every visit with Dr. Pham is always a pleasure. She is always efficient, courteous, and sensitive to our needs. There really is not more you can ask for. I take my whole family to see her and we recommend her to everyone in the area! She's very nice very professional.Will highly recommend to anybody. My appt was quick... I was literally in and out. Dr. Kim explained everything and answered all of my questions. She is very sweet and professional. I highly recommend her ?? She's the best I've seen so far. I'm forever a patient of Dr. Pham. Linda and Dr. Pham were super sweet! It was a quick and easy but thorough appointment. It was great. She does a great job. Great visit! The team was helpful and I was seen right away. Will defined be back next year! My favorite Optometrist thus far. She is great at what she does and has a tremendous amount of patience and will work with you to get your prescription just right. I definitely recommend her to anyone. Best visits to a doctor I have ever had! Very knowledgeable, professional and very personable! I've seen her twice now and I am so happy I went to her. I've never had an eye doctor take so much time to figure out my prescriptions for glasses and contacts. She listened to all my concerns, took hertime figure things out, was very kind, very patient with me. She's an excellent eye doctor. She talks a little fast, that would be the only "con" if there were a con with her. Walked in, walked out 10 minutes later with a prescription- which was spot on! There was no wait. Dr. Pham was attentive and efficient. Ill go to her as long as she's in my area. Highly recommended! She operates out ofthe Sams club, in case youre lost like I was. She was extremely nice and thorough. I will definitely be seeing her for my eye care needs.